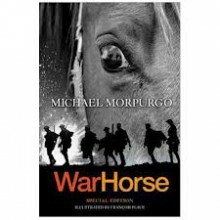 A powerful tale of war, redemption, and a hero's journey.In 1914, Joey, a beautiful bay-red foal with a distinctive cross on his nose, is sold to the army and thrust into the midst of the war on the Western Front. With his officer, he charges toward the enemy, witnessing the horror of the battles in France. But even in the desolation of the trenches, Joey's courage touches the soldiers around him and he is able to find warmth and hope. But his heart aches for Albert, the farmer's son he left behind. Will he ever see his true master again? A powerful read about a horse and his boy.